Guy Fawkes and the Gunpowder Plotters, 1605. Roman Catholic conspiracy to blow up English Houses of Parliament on 5 November 1605 when James I due to open new session. 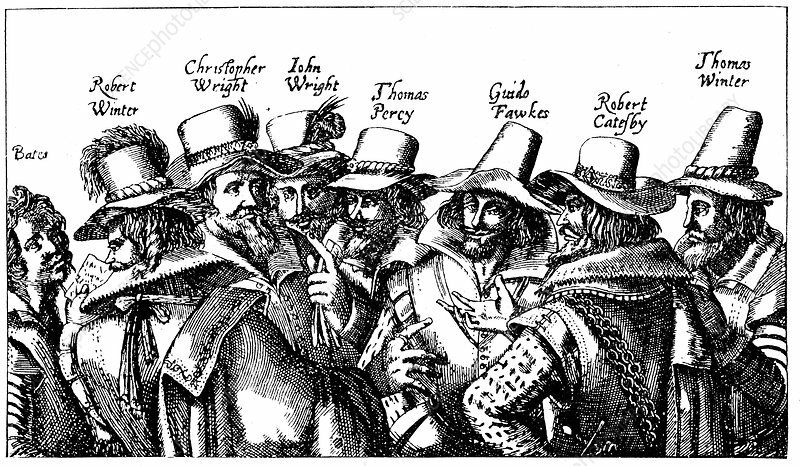 Guy Fawkes, best known of the conspirators, is third from right. From print published Frankfurt 1605.